A little inspiration goes a long way. Just wanted to say hello and hope you are keeping up with the week. The book was sent for review, though I chose it amongst others. 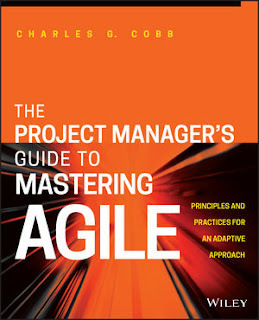 The book piqued my interest because project management and agile are considered contradictory ideas. Published by Wiley, the book covers all aspects of agile and how its different from the traditional waterfall. Dedicates a chapter to Agile tool- about Version One specifically. · The case studies brings in the how changes happen in reality, the challenges and how to overcome them. · The added benefit is the glossary of terms, so someone very new to the concept of Agile doesn’t need to go through another book or web, but can simply get all the terminologies from right here. Project Managers moving into Agile- This book is caters to both experienced and new project managers. Apart from explaining the concepts, the book talks in details about all aspects of traditional project management and its changing roles- from estimation to time management. Sponsors for Agile Transformation- The case studies are a great way to look into the challenges along with the scaling frameworks. While Agile tool has been discussed here, they are a lot many options available in the market. Managers interested in knowing the relevance of roles in Agile and how they are supposed to be handled- With self organizing Agile teams, the concern for management always lies in where does the existing roles fit in? Anyone interested to know where a project manager would fit in an Agile Organization can read this book. I have to say, the book is for someone who’s new to Agile, or has been working in traditional project management role for long. Have you woken up to boredom? 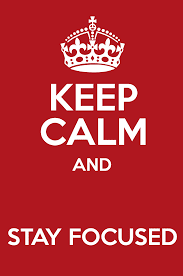 To wake up, eat, work, eat, sleep, repeat. Sometimes, you need to detox and look within yourself what you want. Our goal changes with life. My reinvention has been about doing something new, finding ways to have some time for me and being happy. In order to do that, I have added things in my regular schedules and things have been working. I made some major changes too, like I wanted to stop travelling between the two cities every week. I had to make that call. And I am happy I took it. Reinvention is always not about revamping the wardrobe or going for a haircut, sometimes it goes way deeper. It is an effort to rethink and align your goals and life to the new thought. I am not sure if reinvention makes you happier, but it does work sometimes. May be it’s I have wanted to do for a long time. I will share my morning routine with you soon, perhaps it might strike a chord with you or inspire to create one for you. I think with the blog, while I keep at the original theme, I also want to bring in something new. I would like to connect with you more as a person than just a project manager or a consultant. So, may be once a week we talk about the lifestyle that we have as consultants or the changes you have to go through to sustain the pace. Go back to doing one vlog a month and see how we can reinvent the feel to the blog. It’s not changing the design, but smaller changes that will add up hopefully. By the way, there are couple of project managers on Pinterest and its fun following them there in the visual board. I am more a visual person than an audio person and I have found it amazing to see the interest of the project managers. I am there too, but I really don’t do anything project management wise there. Let me know what you are doing to reinvent yourself.